WFLIII Drums Top Hat and Cane Collector's Acrylic Snare Drum with Gold Hardware 14 x 6.5 in. Handmade with tons of projection and warmth. 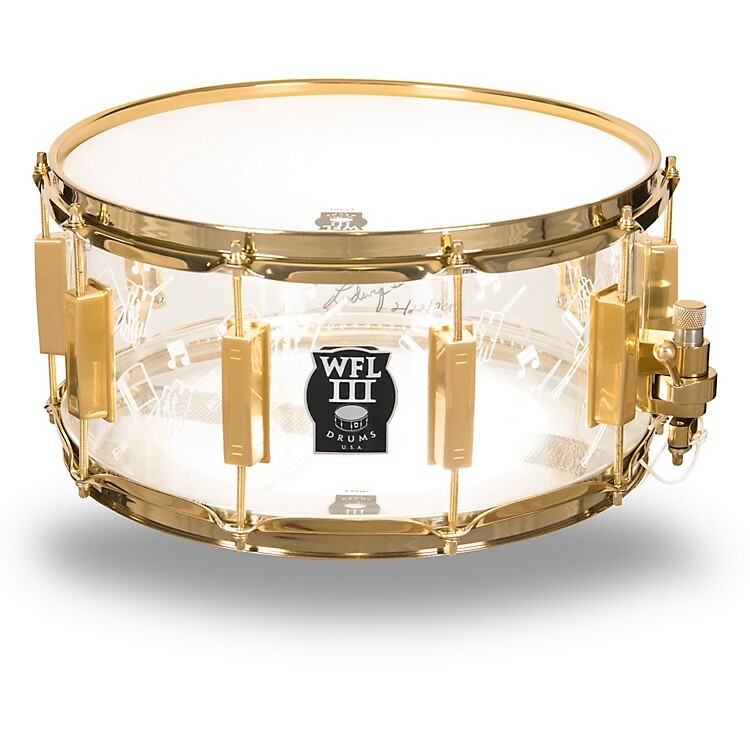 The WFLIII Top Hat and Cane Collector's Acrylic Snare Drum features gold hardware which adds a touch of class and is constructed from hand-formed hardened acrylic. It features a unique top hat, cane and glove design on the shell to add a touch of sophistication to this handmade drum. WFLIII are only producing 50 of these drums, so get your hands on them before they're gone.